This place… this place…. this very place is very old school! If you see Warkop DKI movies in their glorious days with scenes having meals in a somewhat 80s kinda restaurant, then you gonna get that feeling. Formerly called Tan Goei for decades. Thanks to my friend’s recommendation who notably a Bandungnese (not a Jakartan? Jeez! How shameful that would be if you found out how this place can offer a delicious dish!) who found this place. Well, if you see what its like, it seems that this place detach itself from the dining place list for this era or people nowadays. It’s conservative, filled with elders even for the waiters, smells like old building, and no signs of revival. Although they now provide free wi-fi! That’s a bit strange eh? Judging that people will most likely linger in a much more comfortable place but this place doesn’t actually provide that indulgence. But there’s one thing actually that would make you linger, the solo keyboard show just outside the indoor section! Hahaha.. You can also join the jam by showing off your ability in singing! And that’s the time for me to come inside and avoid it if you insist on singing like that. Basically, the menu was all about Chinese food for family and Bestik (our style of defining ‘steaks’). I haven’t tried the Chinese foods but you can see that the utensils they use to serve really go way back to the 80s. While some people said that the place is legendary of its Bestik and in this case, the Bestik Lidah Sapi or Ox Tongue Steak (if you must do it in English), so then I picked it. Plus on my next visit, I even picked the other Bestik variants in chicken and a wiener schnitzel. For this time, I’d only discuss the steak. There are basically five bestik there, Tenderloin (Bestik Haas), Chicken (Bestik Ayam), Ox Tongue (Bestik Lidah), King Prawns (Bestik Udang), and Wiener Schnitzel. I seem to forgot one more type but that’s okay. So in both occasions I managed to taste three of them. 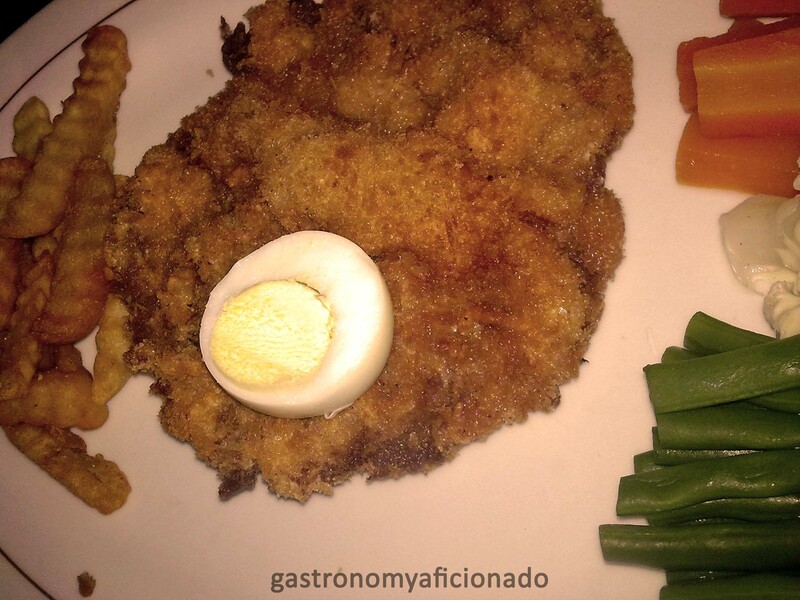 The Bestik Lidah (IDR 44,500), Bestik Ayam (IDR 36,500), and Wiener Schnitzel (IDR 44,500) in which all three of them are the recommended dishes in the Bestik section. With a very calm and exacting experience, the waiters were able to deliver us good service (perhaps it’s because the restaurant has become so vacant most of times, you can imagine how busy they were decades ago) to our satisfaction. For the judgment in taste, all three of them are fantastic! 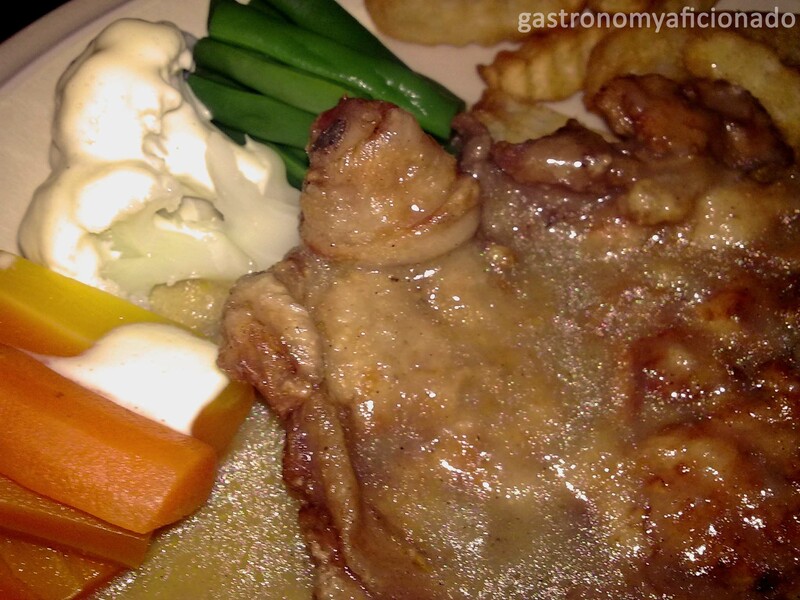 The ox tongue and the chicken were accompanied with decent fries, cauliflower in mayo, stir fried beans, and sweet carrots. No need for extra salt and pepper. It’s already delicious! 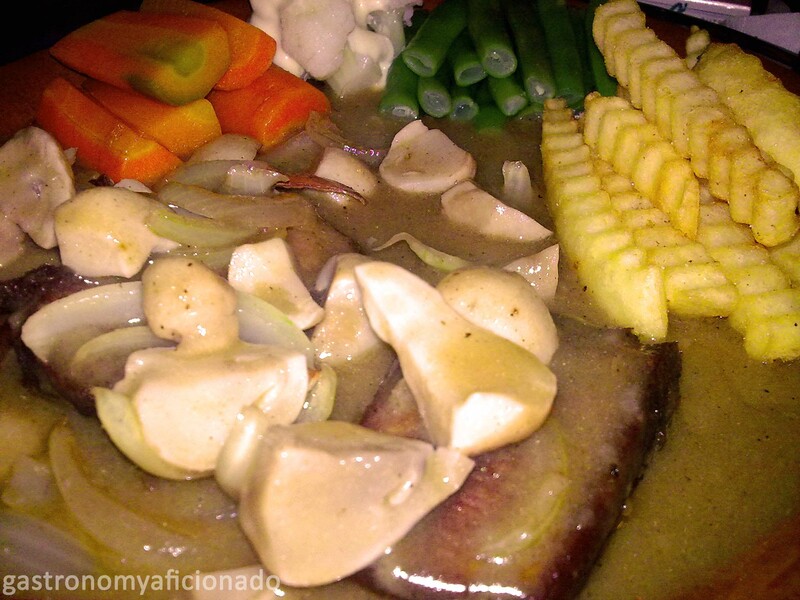 The best thing of the steaks was actually the sauce, the culinary heritage sauce from colonial times and according to the present owner, this goes back to the days of her elders. Waw! That’s classic and the sauce was indeed one of the best tasting gravy sauce you can get! It’s dominating, it’s magical, and no words could match the greatness of it! Once again, you ain’t gonna need chili sauce, tabasco, white pepper, black pepper if available, and even salt! The original taste was already… flawless and perfect! You should taste this indeed. This long time heritage though has been forgotten. Even my friends who are notably Jakartans didn’t even know of its existence. Thanks to my Bandungnese friend who has informed me this. You wouldn’t even possibly recognize the place anymore unless you got in your family an elder who still reminisce of the days when the earth was still young about the beauty of this place or if you are somebody like me. That is so adorable! Though if they can keep the steak price tags around IDR 30 thousands, that’ll be cooler. It’s too old. They need to revive it back to their glorious days. I’m worry about their capability to defend themselves in the middle of the emergence of many well-funded competitors. Because what they have is the classic, flawless taste in their dishes. I heard that Hema (a famous Dutch resto) in Jakarta has taken over the management. Let’s hope that they’ll do something constructive. The elders seem to have done great service for us. I am content. Magical!!! As you can read above. Location : Jalan Besuki no. 1A, Menteng, Jakarta Pusat. Hi! I’m really glad to found this blog. The reviews are quite detail including the halal status. But on the recent updates, I don’t find halal status anymore. I hope that you can provide halal status again because I find it very useful. Thanks! A very very constructive idea! It’s just an excuse I know for being very busy lately by overlooking such important details but I will see to it that next time I will try my best to include it.